Previously I’ve written about integrating OnlyOffice and NextCloud the traditional way, which is a long process. 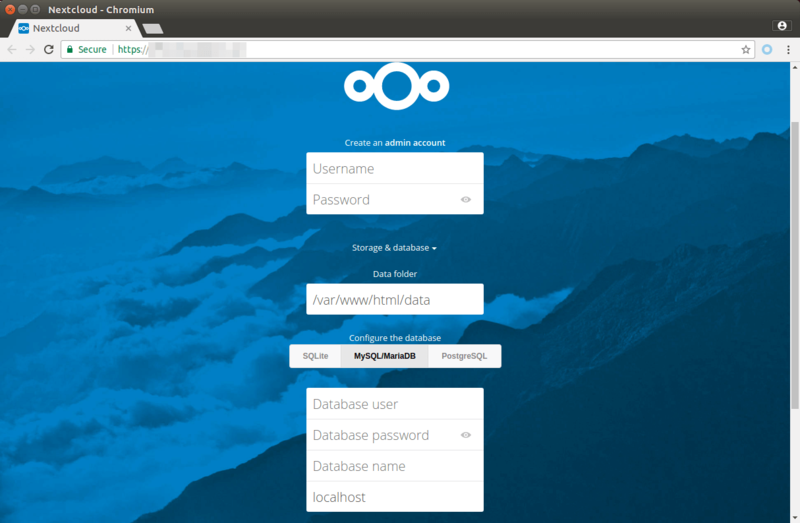 Now you can easily integrate OnlyOffice and NextCloud using Docker. There’s a new Github repository created by OnlyOffice developer team to help with integration of OnlyOffice document server and NextCloud, which allows users to create and edit Office documents directly from NextCloud. As a matter of fact, it also supports integration of OnlyOffice and OwnCloud. Since most of us are NextCloud users, I will focus on NextCloud only. Using this method, both OnlyOffice document server and NextCloud will be installed as Docker container application and Nginx will be used as web server. I will show you how to integrate these two and how to enable HTTPS with Let’s Encrypt. A server on which port 80 and 443 are available, and at least 1GB of RAM, preferrably 2GB of RAM. I recommend Linode where you can get a high-performance 2GB RAM Linux VPS for only $10 per month. A domain name. I bought my domain name from NameCheap. 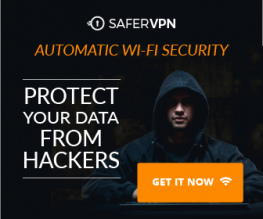 Not only is their price lower than Godaddy, but also they give whois privacy protection for free. First we need to install Docker and Docker Compose, the latest version of which can be installed from Docker’s official repository. The following steps are for Ubuntu 16.04. Users of other Linux distributions can check out the official installation instructions. Create a source list file for Docker repository. Copy the following line and paste it into the file. Save and close the file. Then import Docker’s PGP key by running the command below. Since this repository uses HTTPS connection, we also need to install apt-transport-https and ca-certificates package. Next, update package index and install the latest version of Docker CE (Community Edition). To install the latest version of Docker Compose, run the following commands. We will use git to clone the Github repository. If you want to enable HTTPS with Let’s Encrypt, add the following line in nginx service. This line tells Docker to mount directory /etc/letsencrypt on the host into Nginx container. Save and close the file. Then edit nginx.conf file in docker-onlyoffice-owncloud directory. This file will be mounted as /etc/nginx/nginx.conf in the Nginx container. Add a server_name directive in the server block. Don’t forget to set A record for your domain name. Also, add the following lines in the server block because later on we will use Certbot webroot plug-in to obtain SSL certificate. Save and close the file. Now start containers defined in docker-compose.yml file. Now point your web browser to cloud.example.com and you will be greeted by NextCloud install wizard. Before we enter anything in the wizard, let’s enable HTTPS with Let’s Encrypt. Now install Let’s Encrypt client (certbot) on your server. The following instructions is for Ubuntu. Since Nginx is running in a Docker container, we won’t be able to use the Nginx plugin to obtain and install SSL/TLS certificate. Instead, we can use the webroot plugin to obtain a certificate and then manually configure SSL/TLS. Run the following command to obtain a certificate. certonly: Obtain a certificate. Don’t install it. –email: Your email address used for account registration and recovery. The -w flag is followed by the path to web root directory, which is /var/www/html/ in Nginx container. Its mount point on the host is /var/lib/docker/volumes/dockeronlyofficeowncloud_app_data/_data. Certbot can’t access the web root in Nginx container and must use its mount point. As you can see, I have successfully obtained an SSL certificate. After obtaining the certificate, edit nginx.conf file in docker-onlyoffice-owncloud directory to configure SSL. Add the following lines in server block. Remember to replace red text with your actual domain name. Save and close the file. Then restart Nginx container. Refresh NextCloud install wizard and you shall see a green padlock in browers’s address bar. If there’s an error, you can check out nginx-server container’s log to find out the error. If you want to use MariaDB with NextCloud, then you will need to run a MariaDB Docker container. The following command will run the official MariaDB docker container and add it to the onlyoffice network. Replace your-pass with your preferred MariaDB root password. Once MariaDB container is running, we can access it by issuing the following command. Then log into MariaDB server as root. Create the database user. Again, you can use your preferred name for this user. Replace your-password with your preferred password. Notice that we want to create an user which would be able to login from NextCloud container, which has the IP address 172.18.0.3. 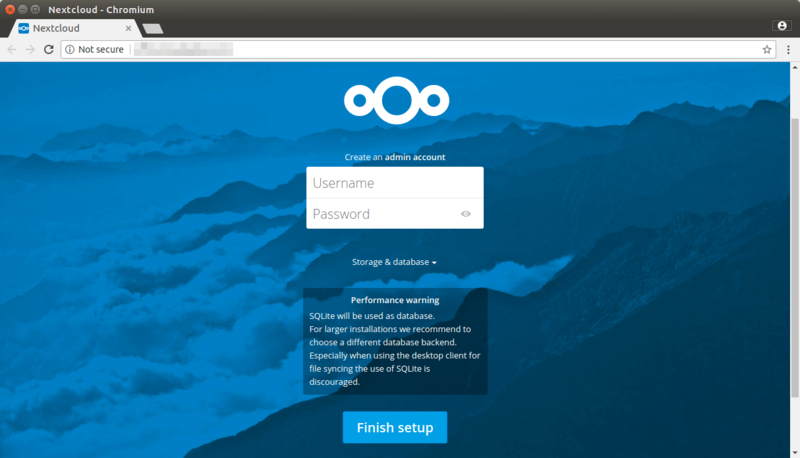 Note: Your NextCloud container may have a different IP address. Run the following command on the host to find it. Exit out of MariaDB container. Now in the NextCloud install wizard, you can create an admin account and enter the details of MariaDB database server. Note that you need to replace localhost with mariadb-server, which is the name of MariaDB container. localhost here points to NextCloud container. Because NextCloud container and MariaDB container are both in the onlyoffice network, NextCloud can resolve mariadb-server using an embedded DNS server. And now NextCloud is successfully installed. In the docker-onlyoffice-owncloud directory, there’s a script named set_configuration.sh. Run this script to integrate OnlyOffice and NextCloud. 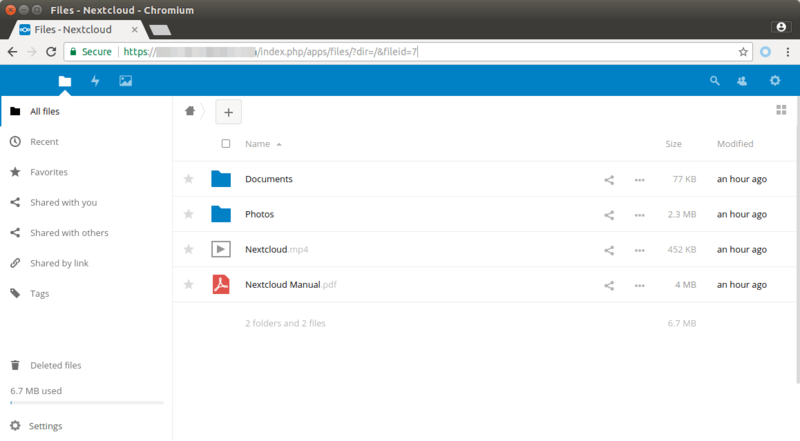 Now you can create and edit Office documents from NextCloud. I found that if I enforce HTTPS with 301 redirect, then the office documents won’t load. It seems that if HTTPS is enforced, then NextCloud will talk to OnlyOffice document server only in HTTPS, which can’t be done because we didn’t install TLS certificate on the document server. The solution is to comment out the following lines in nginx.conf file. In this way, users will need to manually add the https:// prefix in the browser address bar in order to encrypt the data communication..
That’s it! 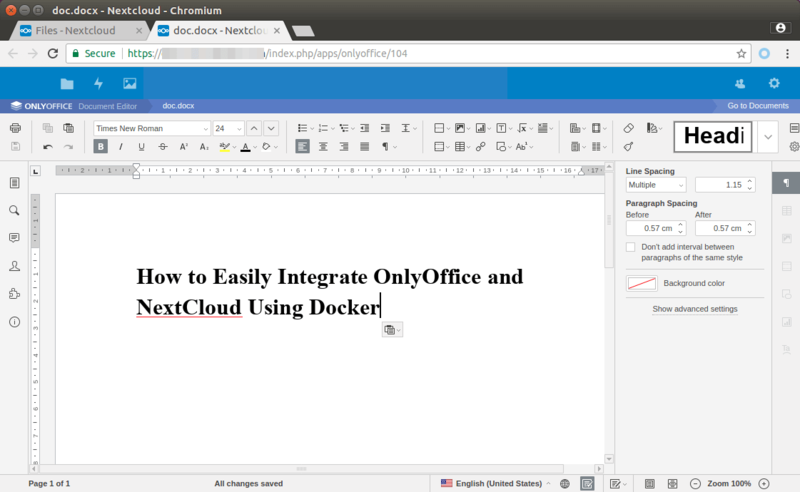 I hope this tutorial helped you integrate OnlyOffice and NextCloud using Docker. As always, if you found this post useful, then subscribe to our free newsletter. Worked very well. But in the end I lost https. I got a message that cetrificate was OK, and the webbpage showed https:. But after having run the Script to Integrate OnlyOffice and NextCloud I get only http and not safe. Using the webroot path /var/lib/docker/volumes/docker-onlyoffice-owncloud_app_data/_data for all unmatched domains. Notice the caret before the tilde, that will prevent nginx from processing other regexp. Excellent tutorial, thanks a lot!!! Hello, the tutorial is good and works too. There is only the problem, if I reach my server over http, everything works fine. Also OnlyOffice works. If I switch to https, Nextcloud will continue to work, but OnlyOffice will stop working. The error: “Document can not be saved and loaded” appears and I have to cancel. When I remove the block for ssl in nginx.conf, everything works again. How do I get OnlyOffice running via https? Hello. I think this is a problem in OnlyOffice itself. You should ask OnlyOffice developers to fix this error. We are adding more and more editing tools, so navigating around them threatened to become confusing for our users one day soon. But we have found a way out – the new interface layout. It groups editing instruments into functional tabs to make your work more intuitive. Dear All I getting an error when I run “sudo bash set_configuration.sh”. I can note edit or open files in nextcloud. Please help. Hi, please go to the NextCloud Apps page to update ONLYOFFICE to the latest version, enable it, then run this script again. Thank you so much for your reply. I did this but now I got new error. “The document could not be saved. Please check connection settings or contact your administrator. When you click the ‘OK’ button, you will be prompted to download the document. …but I’m not sure how that’s done in the CLI. Would be great if you can update this tutorial with the steps. Thanks! First of all I would like to thank Mr. Xiao Guo. He is the life saver and real hero. I wish I could meet him once in my life. He solved my problem by messenger, email reply and whatever medium I adopted to reach him. I am in debt for the whole of my life. When I texted he was going to sleep but still he replied to me. I am so grateful to him. Literally I have no words to thank him. He is the buddy I ever found. He is so helpful and supportive. I just say Love you Xiao Guo. Best wishes from my side. Keep up the good work. My VPS was down by service provider. Now I installed this as the same way as mentioned in that tutorial. This works like a charm. It is the best ever tutorial I ever found. This is the method on internet. Hats off to you. Bundle of thanks. Do you know how can I run two separate nextcloud installations with different domains on the same server ? I’ve tried a lot of things but not able to do that. Thanks for the write-up, it’s very detailed. I can’t get it to work. I have a droplet on Digital Ocean. I install docker, and manage to get up to composing the yml file. Using “sudo docker ps” does show the 3 containers working. However, when I go to my domain, or the IP address, nothing loads. I can install nextcloud via snap, and regular apt method, and that seems to work. I can’t figure out what I’m doing wrong, and have had to refresh my OS several times. Update: It works as instructed when using Ubuntu 16.04. I still can’t get it working on Ubuntu 18.04, even though it all downloads. I followed it, there are several months but how to update the containers with the latest version? All is working except ssl: I’m using local domain and bind9 dns with samba4 plugin on the other server. And certbot does not want to find a record for my local domain in dns server and to create certificates, so I gave up for now and using http. All works great! But I then abled SSL and now I have the onlyoffice error ‘The document could not be saved. Please check connection settings or contact your administrator. I have tried the fix you suggested but I then loose all access to nextcloud. Any ideas? this tutorial is a great help for this topic and after digging the tls-redirection-“no saved”-issue i found the solution to avoid it. If you are interested in about it, send me an email account, I will describle it for you. Any ideas about the reason and hopefully about possible solutions? It’s possible to run it over Kubernetes? Have anybody tried it? This entire setup has been working like a breeze for about a month; now, right after aa server reboot (intentional and gentle) Nextcloud is working, but Onlyoffice is not. Any ideas? Thanks! I just followed your tutorial and get the error “App “ONLYOFFICE” cannot be installed because it is not compatible with this version of the server.”. I check the App page of Nextcloud and see in red “Server version 10 or lower is required.” and cannot find any update for this app. Is there an issue with Nextcloud 11 and current version of Onlyoffice ? Or is it a way to bypass this limitation ? chowned and it’s now working with the previous version of the app. I still doesn’t work, somebody have an idea? Followed the tutorial, and all is working good, thanks! Anybody able to get pretty url’s working? I’ve tried many methods, but am not able to remove index.php from the url. Isn’t the “OnlyOffice document server” free for just a 30 day trial? Or does that only apply to the version installed with deb/packages while the docker installation is free?? So yes, there’s a “community edition” that is free and open source.